Help us do a great job raising money for projects at home and abroad. At last there’s a way we four-legged creatures ‘can’ine join in. 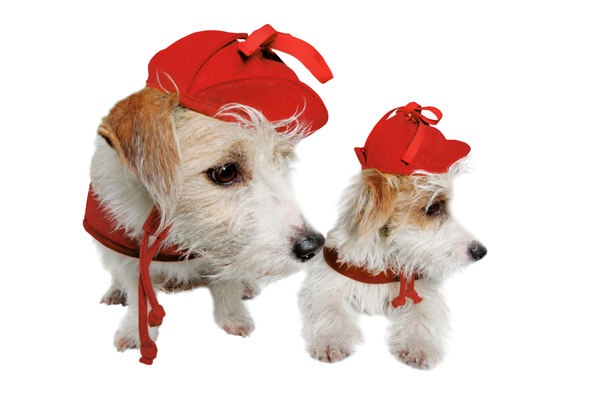 I’ve persuaded Lilly, the head designer here at Love My Dog, to create a special edition of our Deerstalker hat in red velvet. And all profits go to charity. Just like our famous tweed Deerstalker, it’s got a little brim, a button on top, and earflaps you can tie up or down. And it’s individually hand-crafted. Help us by buying your faithful friend a Red Deerstalker. The more we sell, the bigger the cheque we’ll be handing over. With your help, who ‘nose’ how much we’ll raise. As well as our well known dog & cat charities we will also support: Young people & mental health, Young people & alcohol, Illegal trafficking of young people, Alzheimers , domestic abuse, mental health, young carers & local communities. If you have a Charity of your choice that you would also like us to donate to please get in touch.